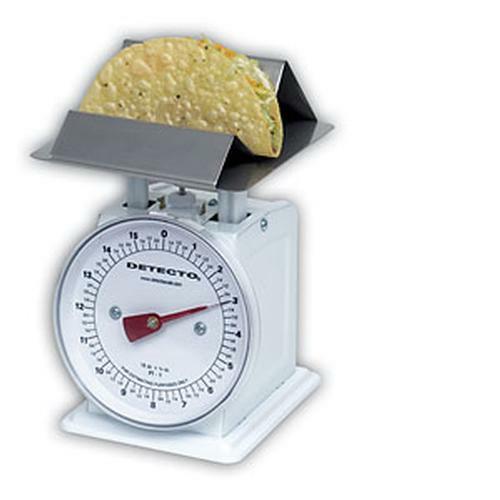 Ideal for overall portions within fixed weight limits, the PT1-TF top loading dial scale maximizes profits while ensuring your customers receive the best value. A snap-on stainless steel tray attaches to the stainless steel platform to lay tacos and french fries on securely for weighing. Sturdy construction, stability, convenient viewing angle, temperature compensation for dependable accuracy in environments with fluctuating temperatures and easy readability make these the petite top loaders of choice.